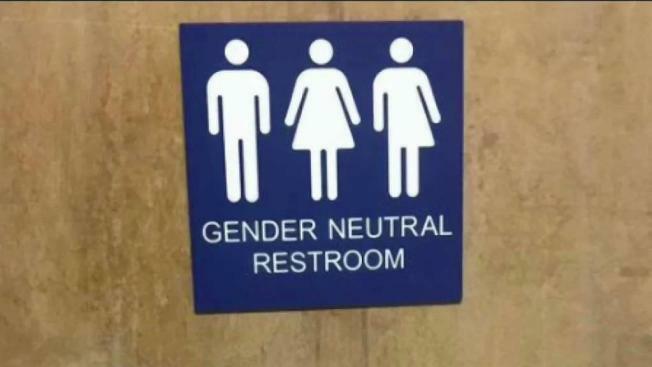 Gender-Neutral Sign at Elementary School Bathroom Concerns NH Rep. The bathrooms at an elementary school in Epping, New Hampshire, have a state representative upset. Rep. Sean Morrison (R-Epping) says that an image on restroom doors is confusing and leaves parents out of an important conversation. At Epping Elementary School, the bathroom sign shows three figures: a man, a woman and a combination of both. Morrison posted a picture of the sign on his Facebook page, writing that parents should have been notified before the gender-neutral bathroom sign went up. "Simply, so that we could have the conversation with our 5, 6, 7, 8-year-olds," he said. Morrison said that it's a "ridiculous notion" for some people to accuse him of being transphobic. Some residents wish that parents had been informed somehow. Others don't take any issue with the sign. "I don't have a problem with the sign, and my kids don't have a problem with the sign," said Nicole Kukesh. Kukesh commented on the Facebook post, calling it irresponsible. "I fully trust our teachers and administrators to do the right things for our kids," she said. "I just felt like I had to say something for the school." Morrison said his concern isn't the sign, but the lack of notice that would have allowed parents to parent how they wanted. "The idea of sexuality being introduced to grammar school children, my main point is that we as parents want to be informed of that, and we want the opportunity to have those conversations with our children," Morrison said. The representative said that the bathroom sign will be taken down, and that he has a meeting scheduled with the school superintendent.